Please use our Contact form to send us your questions. But before you do that, please scroll down to our FAQ. First check if your question has already been answered. Due to a large volume of questions we receive from students all over the world, it's difficult to respond to everyone, especially to those who we already answered the same question on our FAQ page. We also build up a list of questions and when we see a trend with the same questions, we will update our FAQ page to provide the answer. Kpop College is an on-line virtual university that has 3 main objectives: Learn, Enjoy and Become. 1) Learn about Kpop artists. 2) Enjoy making new friends. 3) Strive to Become a Kpop artist. At this moment we are a non-accredited university. However our long term goal is to apply for accreditation when we construct a campus on land. Yes, it's absolutely 100% free. There are no tuition fees or dues. When we get to Phase II and construct a campus on land we will have to re-evaluate that at that time. If that does occur, students would have to reapply if they choose to attend. To become the World's Most Prestigious, Most Attended and Most Respected University on the Planet. To effectively distribute a wealth of knowledge that our students can utilize to reach their short term and long term career goals. Teamwork, Endurance and Optimism are our founding core values we strive to instill into our students on campus. To enroll at Kpop College, our students must be 13 years or older. If you don't meet that requirement, please ask your parent to enroll and supervise over your activity when you're online. We accept all races and nationalities. However, please note if you are from planet Gliese 581 d, you'll first need to apply with a special visa. Student Profile Page, Ability to Post on your Wall or other Student's Wall, Friend Request Other Students, Message Multiple Students at one time, Post your Photo, Post your Kpop Covers, Provide your Social Media Links and more. We are still in Phase I of our Launch, however we are gradually building a high quality level of education for our students. Korean Teacher: Han-Na Kim is the Dean of Foreign Languages here at Kpop College. She is fluent in both Korean and English. Han-Na produces high quality Korean Language learning lessons for our students. Kpop Artist Information: We provide a wealth of in depth information about Kpop artists and Kpop auditions with well researched social media links. Nickelodeon: A large cable TV network with over 3.5 million followers. They air the new hit TV show "Make It Pop" starring Kpop artist Megan Lee. Megan Lee: Kpop Artist and Actress for the new hit TV show "Make It Pop". South Korean Universities: Many universities in South Korea follow Kpop College. As Kpop College expands and builds a solid network of students, reputable individuals, institutions and companies it will start paving the way to reach accreditation. Kpop College will research the proper steps to obtain accreditation through CHEA (Council for Higher Education Accreditation). An accreditation tool kit is available that provides information on how to obtain this certificate. Q: Why is it that Kpop College won't answer my question when I submit it to them? A: Please be advised that we receive many questions from students all over the world and with the limited staff we have combined with the high volume of questions, it's not possible to respond to all questions. We receive many duplicate questions, so for those questions we update our FAQ page. Please check this page often with new student questions. Q: I want to become a student here at Kpop College, how do I enroll? A: Please visit our admissions page. Q: When I try to enroll, it keeps telling me that I am missing some information and can't sign up. What did I do wrong? A: Sorry about that. We are having trouble with the sign up feature of our website and are trying to get that fixed. Until further notice, we will have to ask you to be patient with us and the website. In the meantime, if there is anything we can do to help you get more comfortable with the website, please let us know. We will gladly like to help. Q: I'm curious how many students attend Kpop College? A: As of June 2016, we have over 4,700 students enrolled at our University and expect to surpass 5,000 students by September 2016! Q: What is the minimum age required to enroll at Kpop College? A: The minimum age is 13 years old. If you're younger than this age, please ask your parents to sign up for you and to monitor your activity. Q: Is it OK for me to enroll if I'm 28 years old? A: Yes, no one is too old to enroll at Kpop College. If you surpass the age of 5,000 you'll need a certificate though. Q: Where is my Student ID number that you're referring to, where can I find it? A: After you enroll you'll see in the upper right hand corner of your computer when you're on Kpop College site your user name and button. Click that to visit your student profile page at Kpop College. Then look in the link address above for the last 9 alpha numeric digits, that is your Student ID. Q: Can I upload a photo of a Kpop star instead a picture of myself? A: Well you can, upload those kind of photos, however for students who want to strive to become a future Kpop star, it's important to gain more confidence in on stage appearance. Record Labels who stop by Kpop College looking for new recruits won't spend time looking at your student profile page if it's not your photo as they know you probably don't have the courage to perform on the international stage and TV performances. Q: I want to go to Kpop College but my parents want to me enroll at another college for academics, what should I do? A: You can do both! Kpop College is only in Phase I of our launch, so we're still an online non-accredited university while your academic college is most likely accredited where you can pick up your degree. Your dream is to become a Kpop star, but you also need to look long term and know what you can depend on after that so please enroll at your academic college too. Take for example, Kylee Saunders who is a Japanese / American student in America who just graduated from Stanford University and is also a Jpop artist. She did both careers which is a wise move. Q: How much does it cost to enroll at attend Kpop College? A: It is absolutely free to enroll and attend our university Kpop College. At this time, we are still a non-accredited university. We are in Phase I of our launch and our long range goal Phase II is to open up a campus on land one day and offer accredited courses. At that time we may need change the requirements for costs and have students reapply, but for now we are absolutely free university, so enjoy and have lots of fun! Q: How much will Kpop College pay for me if I go to South Korea? A: Please be advised that Kpop College is a non revenue generating university. We don't have the financial resources to support students like that. However, we will provide students courses and training materials to help them improve their abilities. We will also promoted talented students who use teamwork, optimism and perseverance. By this promotion, we hope to help students get recognized by record labels and entertainment agencies. Q: Hi, can you tell me how popular is Kpop College, I don't know anything about it. A: Based in internet metric statistics companies, Kpop College is more popular than 99.986% of the Billion plus websites on planet Earth! Q: Is Kpop College something like Facebook or Twitter? A: Well Kpop College is more similar to Facebook as students have their very own profile pages where they can post on their wall and message other students. Facebook is more general whereas Kpop College you have friends who share the same interest as you do in Kpop music. Recent internet metrics have just been released that show Kpop College more popular than Twitter and Instagram in some visitor metrics already! Q: What is the probability that I can become a Kpop artist if I'm not Korean? Q: Does Kpop College have any success stories where students have been signed by Record Labels in South Korea? A: Yes, take for example Vera and our Korean Teacher HanNa who have both been signed by CJ E&M. Q: Hi, I am hearing impaired. Do you think it is possible for me to work towards being a kpop artist? Q: How do I get promoted by Kpop College? A: To get promoted by Kpop College, students need to show their talents by posting Kpop covers on Kpop College so we and other students can review. You'll need to practice hard and show you're posting covers often. We look for students who present their image and style very nice on their cover as well as their singing and dancing abilities. To be a Kpop artist, you need to put on your stage image so be sure to present yourself in your best image possible. We also look for students who are kind to one another, who use Teamwork, who are Optimistic and who have strong Perseverance attributes. Too many students just want to skip all that and go straight to becoming a Kpop star which is not going to happen. Don't let your dreams cloud your mind, instead act on your dreams and show the Record Labels your serious about this goal. Q: Why do you only promote Asian students? A: We promote more than only Asian students, but to be clear Kpop music is from South Korea and it's hugely popular in the Asian region of the world. Record Labels don't rule out other artists, but if your Asian you do have a clear advantage especially if you speak Korean and your from South Korea. But that doesn't rule out your chances, it only means you'll need to try harder. Don't give up on your dream, show your strength and stamina by working hard and if you do that, you'll open more doors to potential opportunities. Be sure to learn Korean, as it will be vital if you want to improve your chances. See Kpop College Korean language courses presented by our Korean teacher, HanNa! Q: How is it possible to become a great Kpop dancer? A: Kpop College has many dance lesson videos that are taught by actual Kpop artists. Start by watching those videos, practice each day, stay optimistic and be persistent in training everyday. Runners can't become Olympic athletes unless they train everyday, as the same principle applies to becoming a great dancer, that is practice makes perfect. Q: When does training start? A: Please see hover your mouse over the word "Learn" on the top menu of Kpop College to see all our online courses. Q: I requested a dorm room in Girls Generation Residence Hall but haven't been accepted in yet, why is that? A: Sorry for the delay, we are working to process as many request as possible but due to the limited staffing we have it sometimes takes more time to set up your new dorm room. Q: Are the Residence Dorm Rooms for real? A: Well, it's real in a sense that it's virtual but not real in a sense that it's a physical location. This allows students to stay in a Residence Hall that best represents their tastes for a particular Kpop group. It creates the opportunity for students to make closer friends with those that share the same interest in Kpop artists. When Kpop College advances to Phase II of our launch, it is our goal to build a campus on land with Residence Halls that are students can reside. In the meantime time, find your dorm room and start making new friends! .... Hey, who's taking the top bunk? Q: I applied for a Dorm room in the Residence Hall but haven't been accepted yet, why is that? A: One possible reason is that your student profile photo needs to be a photo of you. Any student that wants to reside in the Residence Halls must have their own photo in their student profile page. This is because you'll be rooming with other students in the same dorm room and they should know who you are. Q. Which Record Label should I send in my audition material to? A. Well it's up to you in which company best represents your taste for Kpop groups and artists. Please take a look at our comprehensive list of Record Labels auditions page, in fact Kpop College is ranked #1 in the world by Google for Kpop auditions! Q. Can you give me any advice for auditioning at a Record Label? A. Please read some of the comments Kpop College student XSHIAE has made about auditions. She lives in South Korea and she made it to the 2nd round at YG Entertainment and Kpop Star! XSHIAE is singer and also Kpop College's new foreign correspondent in South Korea. Q: Is it OK to add my home address and phone number on my student profile page at Kpop College? A: No, please do not upload neither your home address or phone number. Any visitor outside of Kpop College can see the student profile pages so we don't recommend it and advice against doing that. We want all our students to stay safe, so please don't upload that confidential information on Kpop College. Q: Someone keeps bugging me / harassing me on Kpop College, what should I do? A: Please report them to our security team here at Kpop College by using the Form request above on this page. Please list your student ID number and their student ID number. We will have our security team research the matter and if we find it to be true we will immediately delete the student's page who was harassing you and block them from using the site. Q: I received a message from a student on Kpop College asking me for my bank account number, should I give it to them? A: No, do not provide that confidential information. No one at Kpop College or anyone should ask you for that information. Please report them to our security team above as their sometimes may be trolls who want to get on the site. We will delete their page and block them from the site. Q: In the Kpop group Meet-up's page, can I meet other people who are into Kpop? A: Please always consult with your parents first to obtain their permission as we can't guarantee who's from those meetup groups. Ask you parents to attend a few of their group meet ups first to give them more assurance. Only meet in public places, always take a friend, and always let your parents know your whereabouts at all times. You should use caution and never meet anyone or group at a private place. Safety always comes first, never let others to convince you otherwise. Even if your in college and you don't need your parents permission, always use the same principles above by only meeting in large public places with adequate security. Q: I can't seem to upload my photo to my student profile page, can you help me out? Q: How can I upload Kpop Selca photos of myself to Kpop College? A: Please visit our Kpop Selca page and click on the button Add Photos. Q: We are a new group / artist and I like to know if you can create a page for us here at Kpop College? A: If you are a Kpop artist or Kpop group please use the Form above to send us all your social media page links. For those artist that are not Kpop artist, we also create pages for other artists if it aligns to our core elements. We can't guarantee that we can, but please feel free to send us your social media page links so we can review. Sorry if we didn't add your page, as we need to keep the scope of our project inline to our core elements, we hope you understand. For those artist that haven't sold their music yet on iTunes and other digital media services and are Indie artist please send us your information so we can review. We may add you to our Indie artist section. For those artist that also enroll at Kpop College as a student, we encourage you to do so to increase your fan base. Students who feel more closely connected to their artist will go out a long way in supporting you if you friend request them on Kpop College. Q: Hello, we are a Record Label and we have an interest in one of your students, how do you recommend us contacting them? A: Thank you for your interest, please provide the name of the student and their Student ID number so we can confirm which student you are referring to. Once we have that information, we will contact the student and let them know of your interest. Q1. How much is school fees? A1. None $0 it's Free! Q2. I really want to be an artist please help me. A2. Best way to start is to show teamwork skills, watch covers, leave feedback. Q3. How do a put a picture on my profile? A3. Scroll down to Technical Issues, read how to upload your photos. Q4. Please help me enrollment at Kpop College. A4. Visit our Admission & Login page. Q5. Is this school online only? A5. Yes, for right now. But long range goal is to build a campus on land. Q6. I like to audition at Record Label company, where can I find? A6. Please visit our #1 world ranked page: Kpop Auditions. Q7. Can you tell me which Record Label is holding Global Auditions. A7. Please visit our #1 world ranked page: Kpop Auditions. Q8. Please teach me how to dance with tutorial and tips. A8. Please visit our: Kpop professional dance training videos. Q9. I want to join and become a Kpop star. A9. Best way to start is show your teamwork skills to get noticed! Q10. Are there lessons that I need to take? Q11. Can I post a upcoming Kpop event on here? Q12. I like to learn Korean, how do I do that? A12. Please visit our: Korean Teacher Han-Na. Q13. Do you send people to Korea? A13. Sorry, no we don't but we promote our students! Q14. What nationality / race do you have be to enroll? A14. Any nationality or race can join, all is welcome! Q15. I want to be in a Kpop group, how can I? A15. It starts by getting noticed, show teamwork! Q16. When will you build a college campus on land? A16. As soon as we line up major investors. Q17. When I sign up what happens next? A17. Please see "What do I get when I enroll at Kpop College" scroll up. Q18. Where can I audition, I live in Seoul right now. A18. Please see our #1 world ranked page: Kpop Auditions. Q19. I live in another country, can you fly me to Korea for auditions? A19. Sorry, we don't have the financial resources for that. A20. Get noticed by showing teamwork, leave feedback, watch covers. Q21. Please give me a chance to be a singer. A21. Show your teamwork skills by giving feedback to other posted covers. Q22. I'm 16, I want to become a world class performer, how can I? A22. By leaving feedback for others who post covers will get you noticed. Q23. I want to audition for Cube Entertainment, please help me. Q24. I want to be the next Kpop sensation. A24. Leave feedback on posted covers, and that gets our attention. Q25. I'm from the Philippines, do I have a chance to audition? A25. Yes, if your willing to work hard, not give up and stay optimistic. Q26. Please allow me to showcase my talent. A26. Sure, but you first need to show long lasting teamwork skills. Q27. You keep saying teamwork, why I should I help others? A27. It's like riding a bike, you must have air in both front & back tires. Q28. What are some ways I can show teamwork skills? A28. Leave feedback for posted covers, friend request others, write on wall. Q29. I don't have time to help others by leaving feedback on their covers. A29. If you don't make time for others, they won't make time for you. More questions & Answers to follow.. keep checking back. 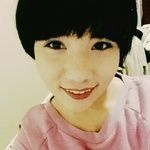 How do I upload a photo to my student profile page? 2. In the upper right hand corner of any page click on your student name button. 3. Under Actions choose Edit Profile. 4. In the Profile Image section click on Upload Photos. 5. Only .jpg;*.gif;*.png;*.bmp;*.jpeg;*.JPG file types can be uploaded. 6. Note, that sometimes it's easier to upload your photo from your laptop instead of your mobile phone. How do I upload a photo from my mobile phone? 1. Visit PuffinBrowser and download their app to your Android or iPhone. 2. Then follow the steps above. Thanks to CYG, a student here at Kpop College that helped solved the issue of not being able to upload your student profile photo to Kpop College from your mobile phone. With her determination, she solved the problem and recommended students try out the new web browser on their phone called PuffinBrowser. Click on her photo to stop by her Kpop College student profile to congratulate her on the great solution that she discovered! And while your on her profile page, be sure to send her a friend request too! How do I post my cover performances on Kpop College? Visit our Post your Kpop cover performance page. 1. Choose existing channel "Rate My Kpop Cover". 2. Copy & Paste your YouTube cover link address in the Video/URL section. (Note we only accept YouTube covers). 3. Type in the Title, Your Name, Song Name and Original Artist Name in the Title section. who maybe in the cover. 5. Press the Submit button to post your cover performance.